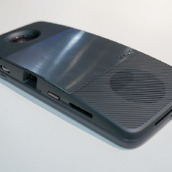 Announced alongside the new smartphones from Moto and Lenovo, the Moto Mods are an attempt to bring modularity to the forefront of consumer smartphones. 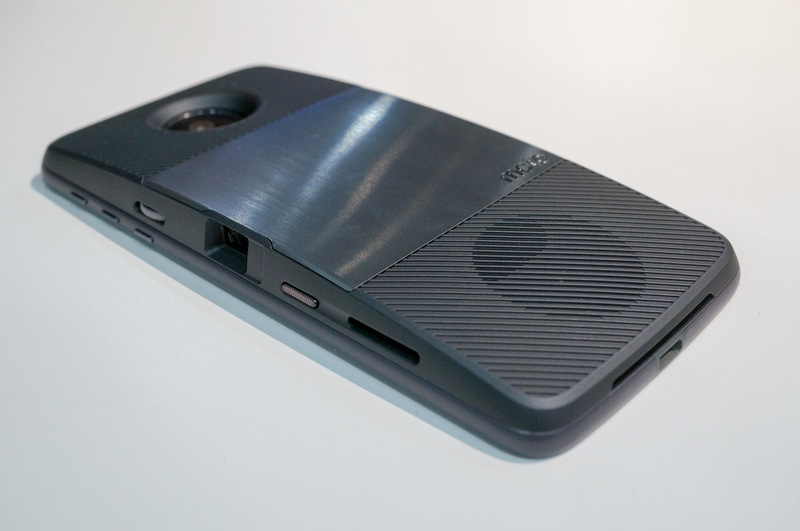 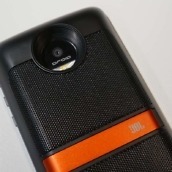 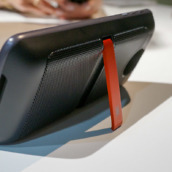 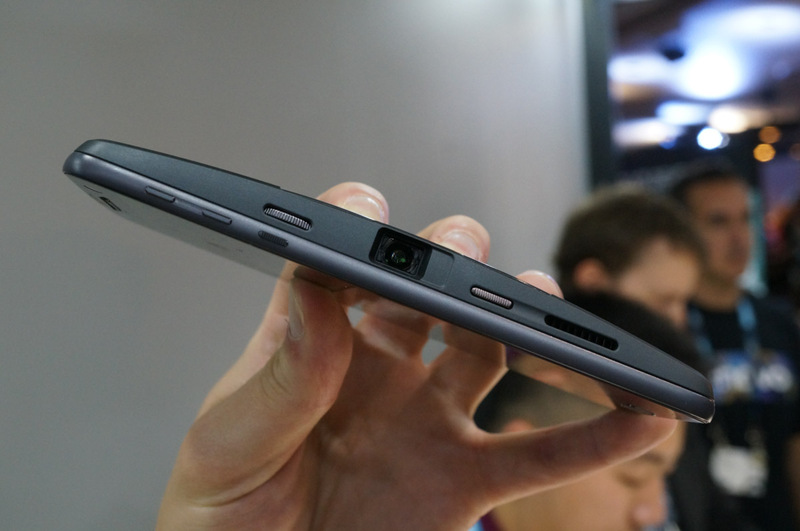 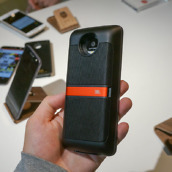 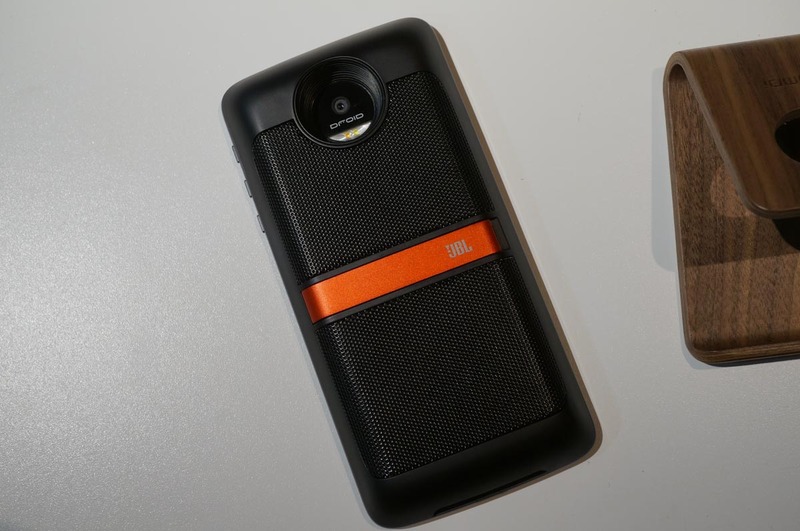 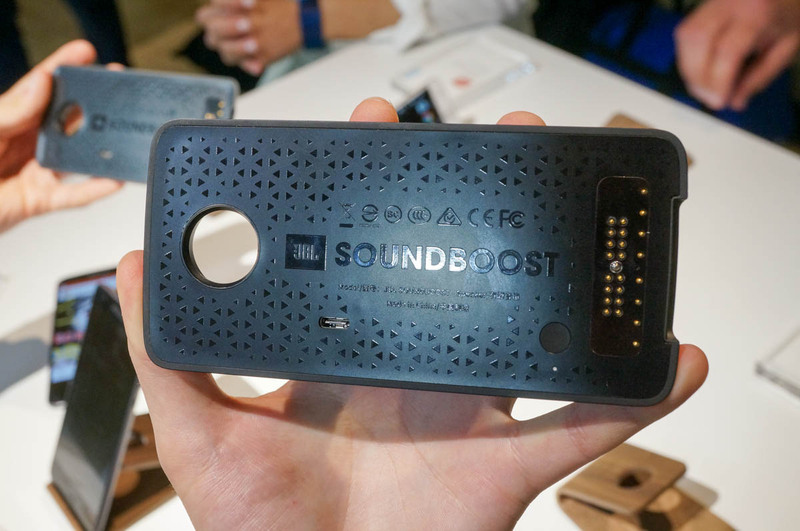 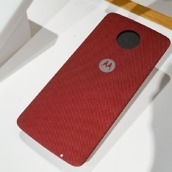 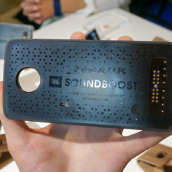 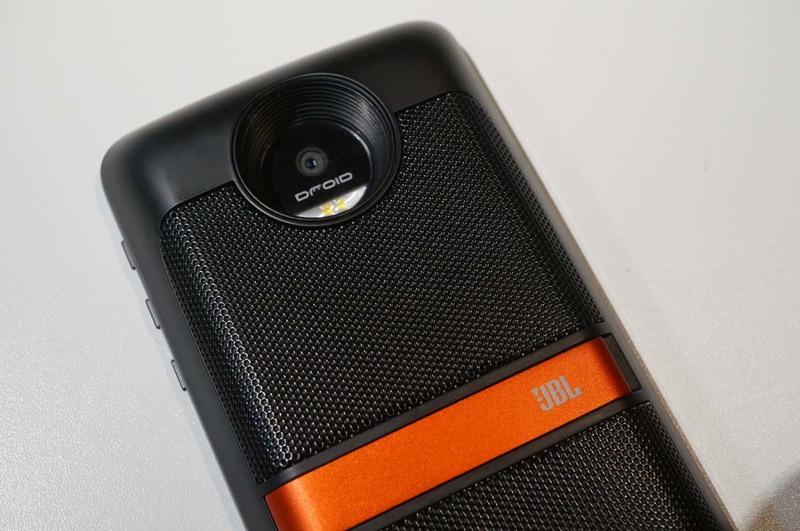 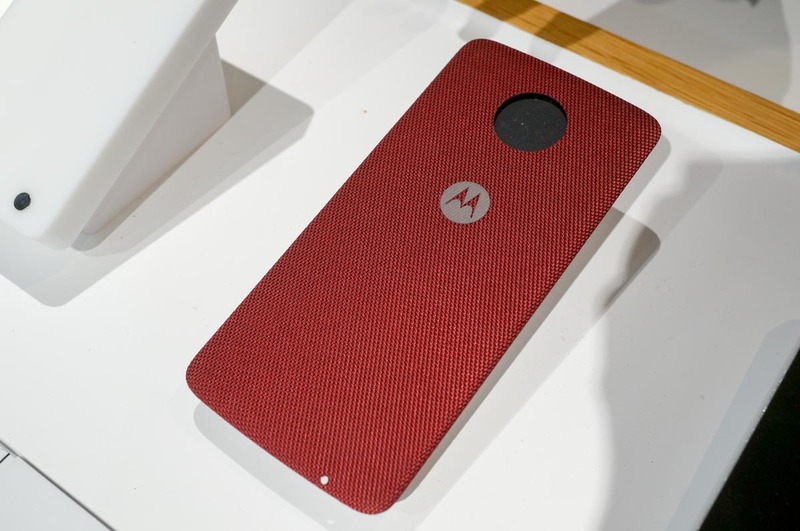 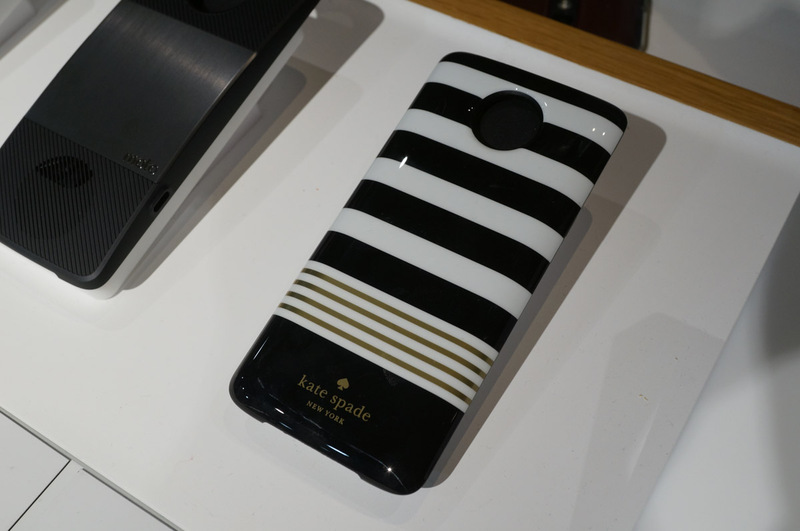 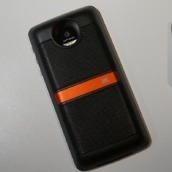 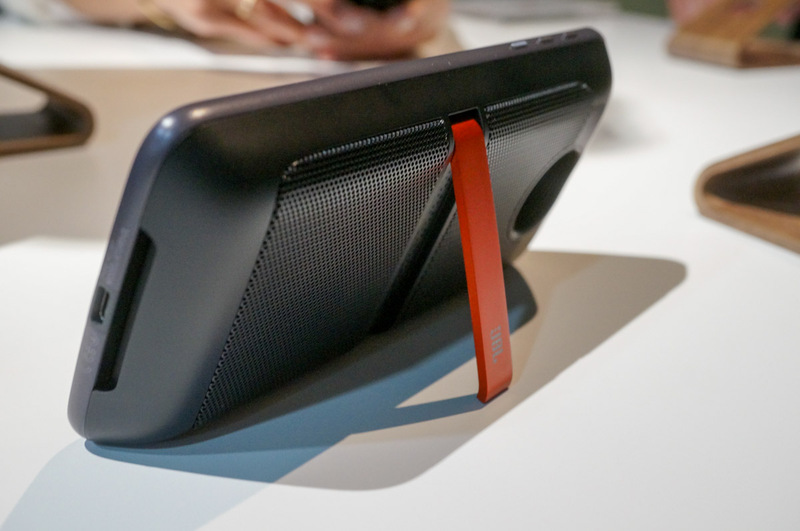 Featuring everything from a projector module, to Style Shells and JBL external speakers, Moto showcased an impressive number of Moto Mods that customers will be able to purchase with their Moto Z and Moto Z Force devices. 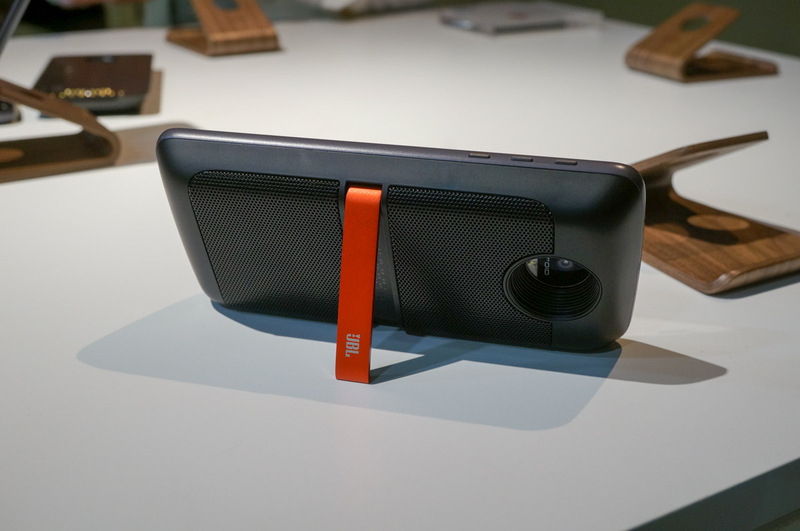 In the below videos, we go over a few of the different Style Shell covers that can be attached via magnet to any of the new Moto Z devices, plus have the JBL SoundBoost speaker mod demoed for us. 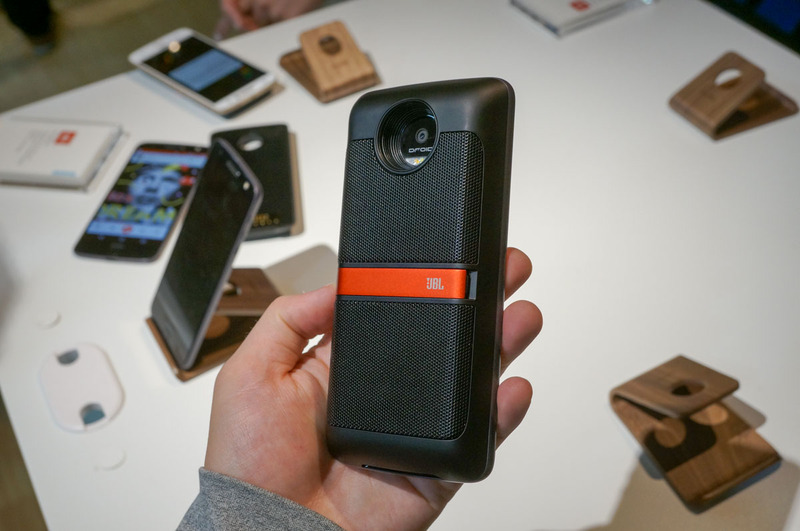 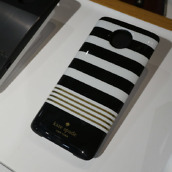 In the photo gallery, you can get a close-up look at the projector Moto Mod, but with the lighting situation, it was not at all possible to get a photo of the projector in action. 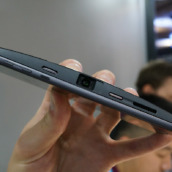 However, I will say that it looked pretty cool when it was demoed. 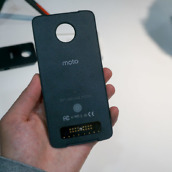 Currently, since we have yet to receive an official launch date for the Moto Z devices or the Moto Mods, pricing is unavailable. 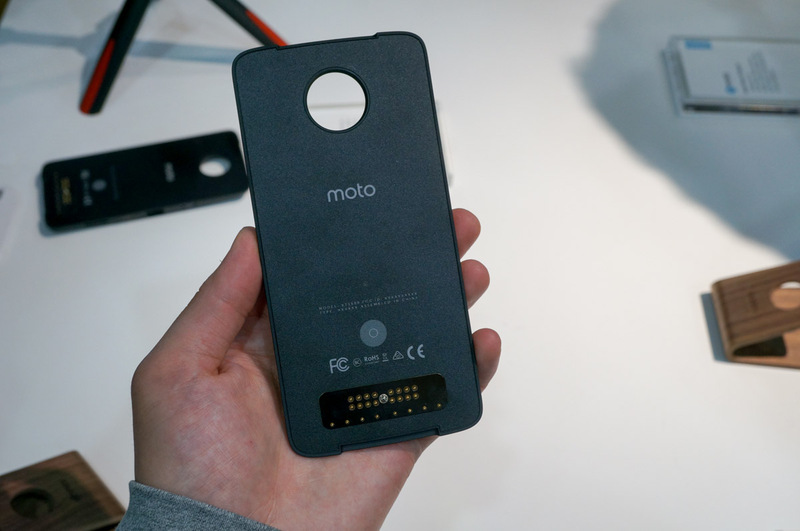 If you have any questions regarding the Moto Mods, direct them to the comments section below and I will attempt to field them.